"At least for me, it's humiliating to carry it — really like some prisoners, on house arrest,” Garcia said. "Just for entering another country, looking for opportunity, I have to carry this." As recently as eight weeks ago, families who crossed the border illegally, often fleeing violence and poverty in Central America, were separated at Border Patrol facilities, with parents handed to the Department of Justice for prosecution and children transferred to shelters for immigrant minors under a "zero tolerance" policy enacted by the Trump administration in the spring. 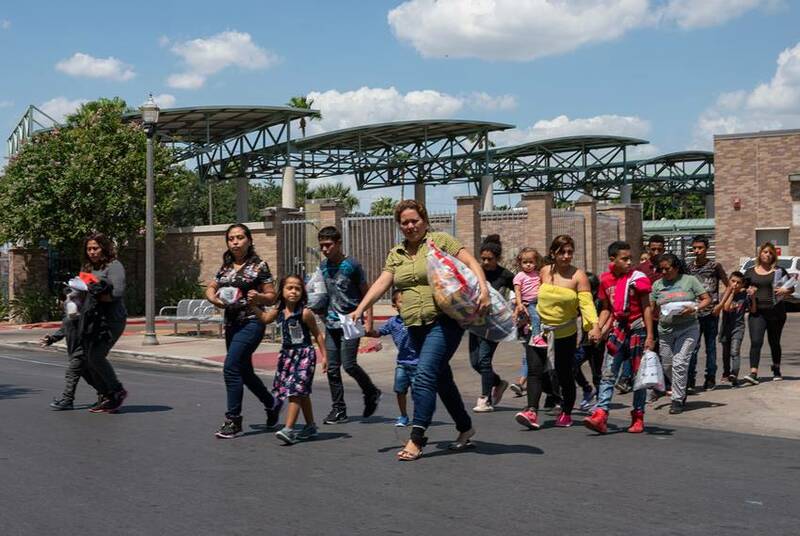 Amid widespread outcry, President Donald Trump ended the family separations in late June, effectively restoring a more lenient system in which migrant families are allowed to leave detention while their asylum claims are processed. Adrienne Peña-Garza, the chair of the Hidalgo County Republican Party in South Texas, said she has concerns about the government's return to the practice. Migrants "are human beings and we need to treat them as such," she said. "But we have to encourage people to follow the law." For these immigrants, however, release from detention does not represent a free pass into the United States. 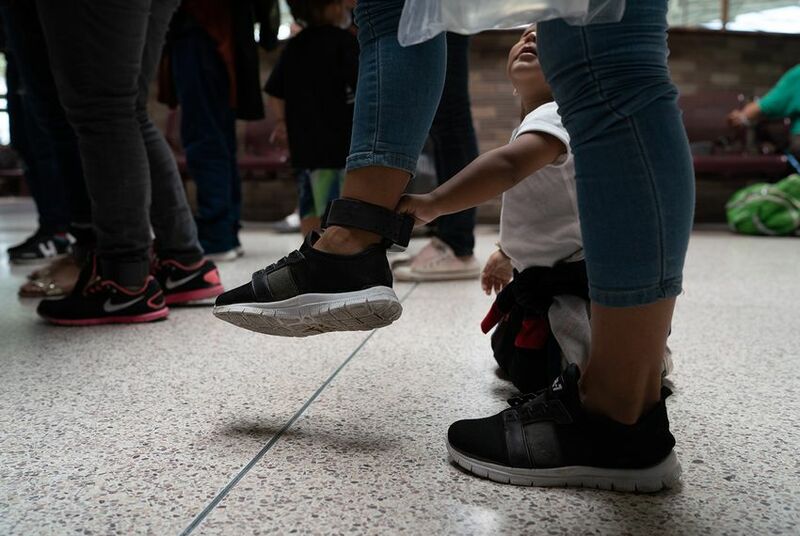 Even though they've been released with their children at their sides, asylum-seeking parents face a complex set of everyday challenges once they leave government custody — starting with the devices around their ankles. Garcia said he decided to come to the United States this summer despite seeing news reports about the "zero tolerance" immigration policy. He said he traveled to the border in a van with more than a dozen others and requested asylum at a port of entry, arriving shortly after Trump put a halt to the family separations. Editor's note: The Texas Tribune and TIME have partnered to closely track the family separation crisis at the U.S.-Mexico border. This story is not available for republishing by a national news organization until August 11, 2018, at 6 a.m. Texas news organizations may run it at any time. For more information emailnchoate@texastribune.org.